Six generations ago, in 1822, the Lindemans family owned a farm in Vlezenbeek near Brussels. They decided to intensify Lambic brewing activities during winter, when less farm work had to be done. The farm produced wheat and barley, the raw materials of the Lambic. Due to the growing success of the Lambic, the brewery became more important and consequently, in 1930, the farm-activities were stopped. It was in that year that they started the production of Geuze and Kriek beer. In 1978, Lindemans started the production of Faro beer, after a period during which it was almost disappeared from the market. The Framboise fruit beer was launched in 1980 and due to the success of the fruit-beers, they created 2 new beers: Cassis (black current beer) in 1986 and Pecheresse (peach beer) in 1987. Because of the increasing demand of Lindemans' Lambic-beers the antiquated brewery became too slow to follow the production, so the Lindemans family decided in 1991 to build a new brewery next to the old one to meet the growing needs of the market without any loss of quality. In 1985, Michael Jackson exclaimed the Lindemans Kriek beer as one of the 5 best beers of the world. W.B.C. 1996: recognized as one of the top ten breweries of the year. W.B.C. 1997: recognized as one of the top ten breweries of the year. Nowadays, the farm-brewery is totally occupied by the brewing installation, fermentation places, stock- and bottle places. The capacity of the brewery in 2009 was 83500 Hl. 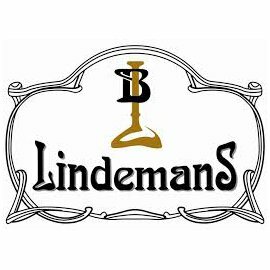 The shareholders of the brewery are the cousins Dirk and Geert Lindemans.